With testing set to go seven days a week and increase in frequency from Monday 7 April, a new campaign dubbed #carefulnow has been developed to harness social media to get safety messages across to all road users. Anecdotal evidence from tram drivers suggests that while the majority of road users are behaving responsibly around trams, there are a number of individuals still taking unnecessary risks when trams are running. Drivers have reported pedestrians stepping out between two buses to try and cross in front of a tram, or making a dash across the tram lines instead of waiting for the green man. We certainly saw quite a lot of that when we were on the tram during Operation Salvador recently. As well as a social media campaign through Twitter and Facebook, the #carefulnow drive will include refreshed signage and updated messages to schools, universities and higher education colleges, businesses and community councils, highlighting the existing safety advice and videos. 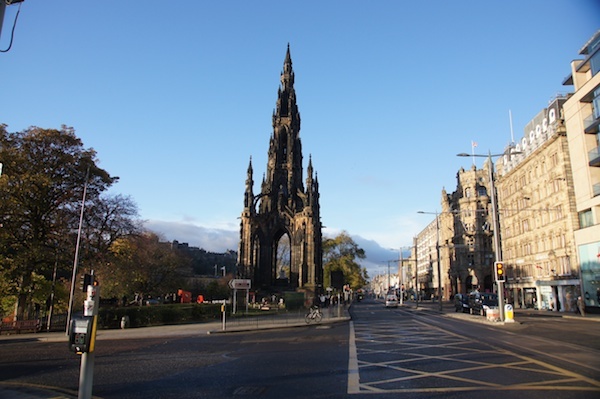 Councillor Lesley Hinds, Transport Convener, said: “Trams have become a much more common sight in the city centre over the last few weeks, which has given us all a chance to get used to sharing the roads with this new mode of transport. 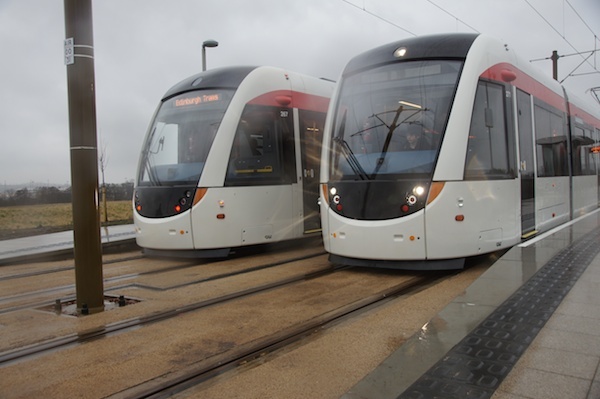 Tom Norris, Edinburgh Trams Director & General Manager, said: “Testing and training have been going really well and it’s good to see that most people are interacting sensibly with the trams. “Our drivers are driving very carefully to cope with the unpredictable behaviour of some road users, however. It’s vital that everyone heeds the warning bell and that people don’t gamble rather than wait for the green man. The push on safety advice comes as Edinburgh Trams invite seven-year-old budding animator Chapman Whitefield Mathers on a tram trip to congratulate him on winning his school’s Tram Safety Competition. 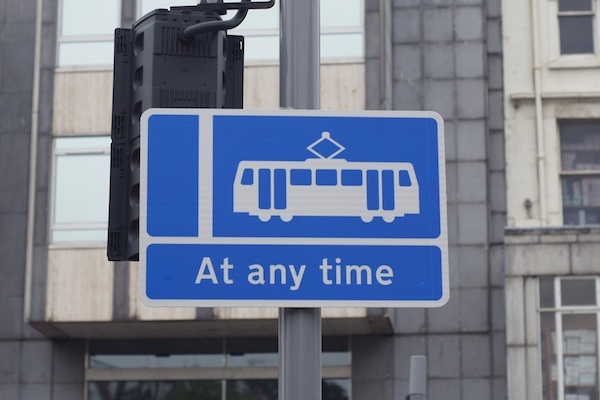 Alongside the safety campaign, the Council has issued a renewed warning to drivers that they risk having their vehicle towed if they park irresponsibly and obstruct the trams. A tow truck is now on standby to respond swiftly to any incidents and vehicle owners can face a £180 charge to recover their vehicle if it’s towed away. 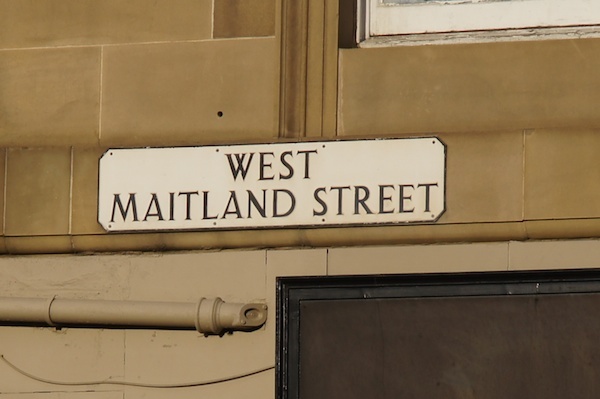 In addition, parking attendant patrols are paying particular attention to ‘hotspots’ along the on-street tram route, including South St Andrew Street, West Maitland Street and Haymarket Yards. Already, two vehicles have been towed, one from West Maitland Street and one from York Place.